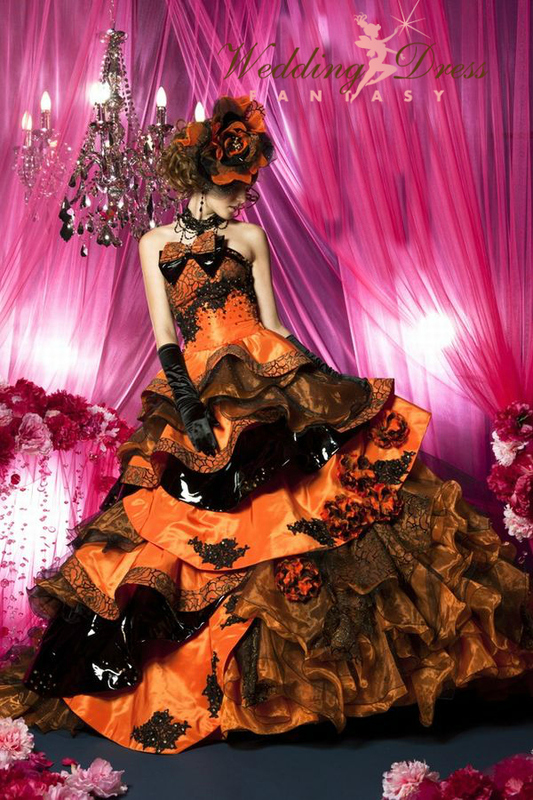 Gorgeous Halloween Wedding Dress in Orange and Black. This amazing Orange and Black wedding dress is made with Taffeta and Organza. This gown is fully customizable and is perfect for a themed or Halloween Wedding.